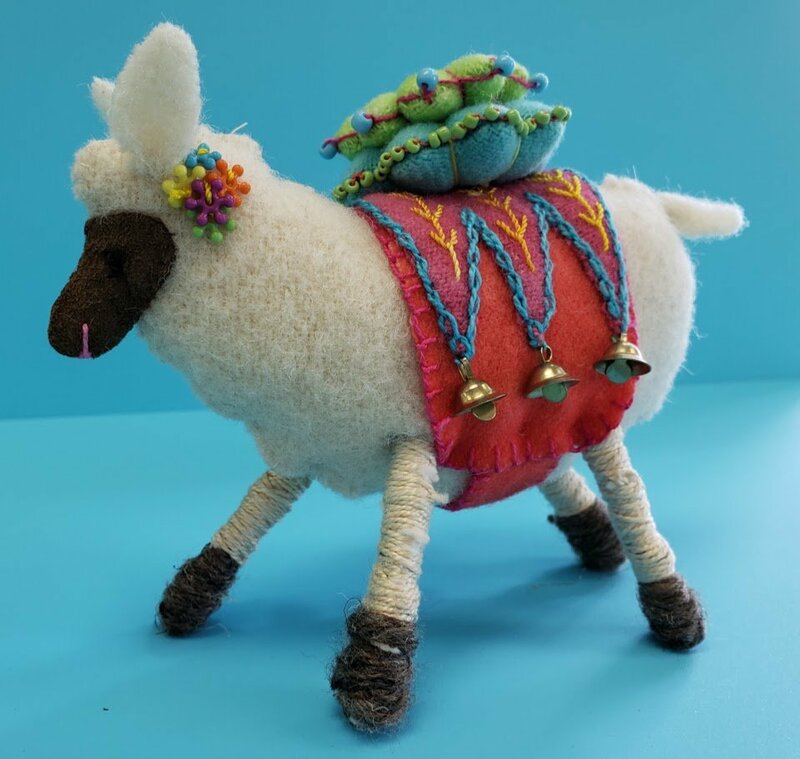 Lets meet EWENICE, a working sheep, sporting booties and little pincushion atop her blanket. Also included in this pattern is a larger pincushion. This class we create the Sheep with pincushion atop. In order to complete this project we will be working all day with a short lunch break. Keep your concentration cap on for this project. Strongly suggest you use 100% wool and not craft felt for this project.